PACOIMA — The San Fernando Valley Hongwanji Buddhist Temple’s annual Obon Festival will take place on Saturday and Sunday, June 27 and 28, at the San Fernando Valley Japanese American Community Center, 12953 Branford St. (at the 5 Freeway) in Pacoima. Hours are from 4:30 to 9 p.m. each evening and admission is free. 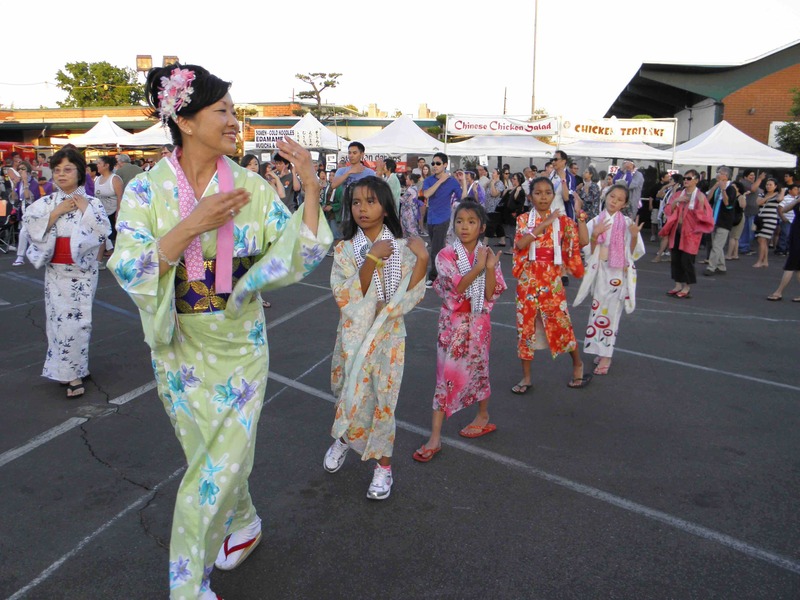 Dancers of all ages in colorful kimono and happi coats will perform traditional Japanese folk dances celebrating the Buddhist “Festival of Joy,” which started centuries ago as a religious custom to remember and express gratitude to deceased loved ones. All attendees are encouraged to join in the simple and fun dances, led by teachers and the sound of rhythmic music. The taiko group of West Los Angeles Buddhist Temple will start Saturday’s festivities with a rousing drum performance. On Sunday, entertained will be provided by the taiko group of Cal State Northridge. Highlighting the festival, ethnic Japanese and American foods such as udon noodles, sushi, and teriyaki chicken as well as refreshing shave ice, delicious baked goods, and many other delectable items will be sold during the event. A variety of games and prizes, not to mention an exciting raffle drawing, can be enjoyed by the entire family. Not to be missed are the Bingo Hall with its Buddhist Bookstore and flea market for Japanese goods and apparel. The temple will hold its annual Obon memorial observances on Sunday, July 12, at 10 a.m., at 9450 Remick Ave., Pacoima. Resident minister Rev. Patricia Usuki and special guest Rev. William Masuda, minister emeritus, will offer Dharma messages in English and Japanese, respectively. During the service, there will be a special Hatsubon ceremony to remember those who have passed away since last year’s Obon. For further information, go online to www.sfvhbt.org or call the temple at (818) 899-4030.